Ok, so I don't know if any of the other demonstrators have thought of this before, but I'm calling this the Triple Stamp Flower Technique. This creates a bold and bright pattern which is perfect for your card bases or Scrapbook pages. It is easy to reproduce, and you can stamp large spaces of card or paper quickly. 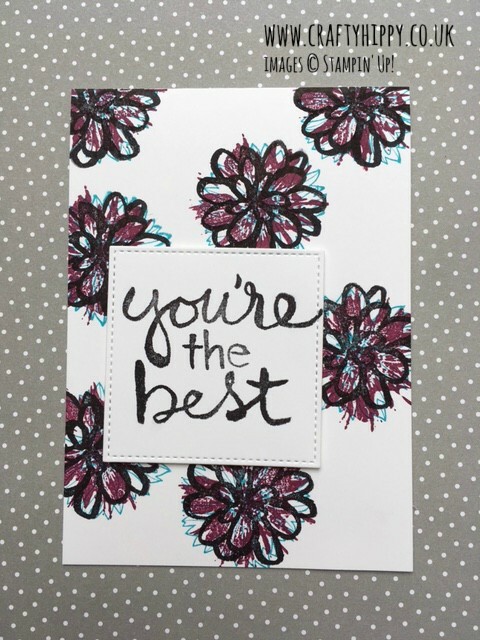 Basically, I took three flower stamps and simply overlapped them in colourful ink shades from our Brights collection. In this instance I used the one-step and two-step flower stamps from the Touches of Texture Stamp Set, and the flower stamp from the Watercolor Words Stamp Set. The sentiment is also from Watercolor Words. 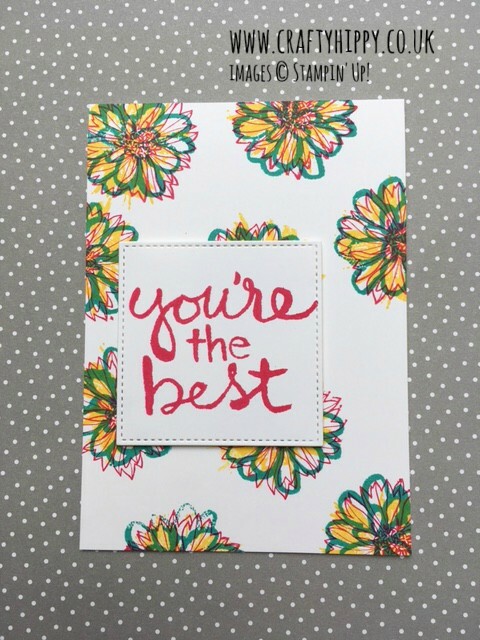 I stamped the flower in the top project in Bermuda Bay, Daffodil Delight and Melon Mambo - of course you could use any combination of colour, the brighter and bolder the better. I created the project immediately above using the same stamps, but using Basic Black, Rich Razzleberry and Tempting Turquoise. Can you see what a difference using other colours make?? Try out the My Create Ink SU Color Lab to see what colours work well together. You could try this with any flower stamps that you have, they don't have to be the ones I've listed above.